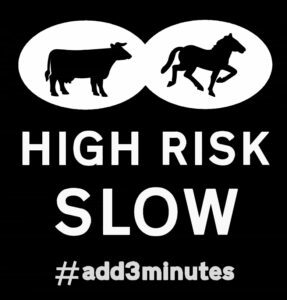 For the second year running the main Forest organisations have pulled together to highlight the high risk time on the roads around the autumn clock change. 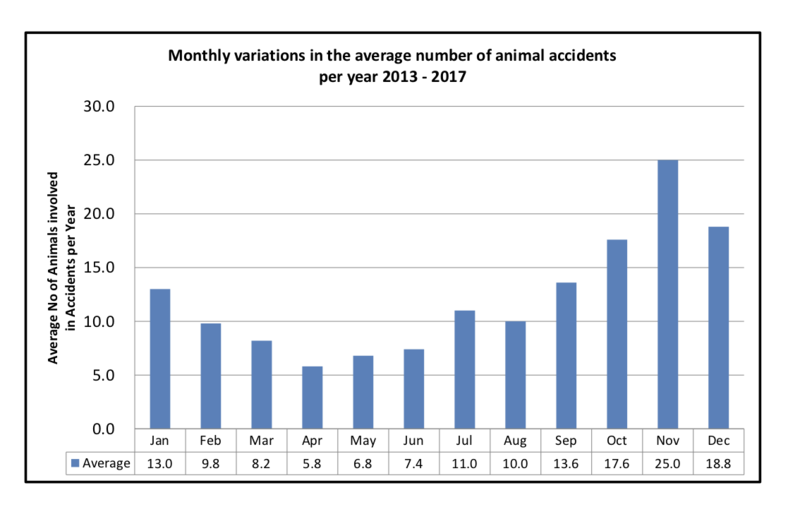 Every year animal accidents peak in October and November, when commuters find themselves driving in the dark. In 2017 a concerted effort was made to tackle this peak, with an experiment with temporary road signs installed by Hampshire County Council. After good feedback on the 2017 campaign the partnership has built on the experience for 2018. This year’s reflective signs are already getting attention, and are very hard to miss. The County has at the same time painted “running horse” triangles on the roads at the main cattle grid entry points to the Forest. 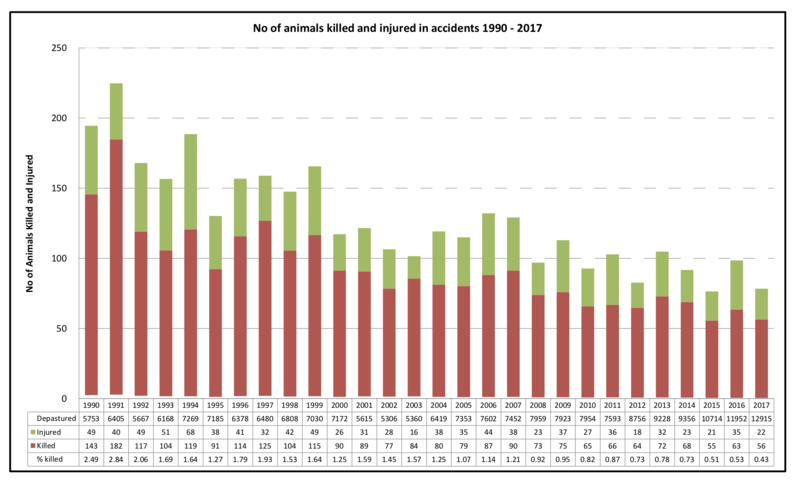 A further new initiative has been the creation of a tableau of animal figures that will travel Forest communities over the winter, highlighting the number of each animal type killed in 2017. For the first couple of weeks the animals can be spotted on the lawn in front of the Town Hall in Lymington. Ideas for venues around the Forest periphery, with good footfall of local people, would be very welcome. These ideas can be passed to a member of the CDA committee or to the Verderers Office. We’ll also need volunteers to help move them to their new homes every few weeks. to do even better, but each year the CDA and its partners are trying new tactics to highlight our concerns. The time when accidents peak provides the biggest opportunity for this to make a real difference, and get noticed with a concerted, collaborative effort. Another example of the New Forest organisations pulling together on an issue that is of real shared concern.